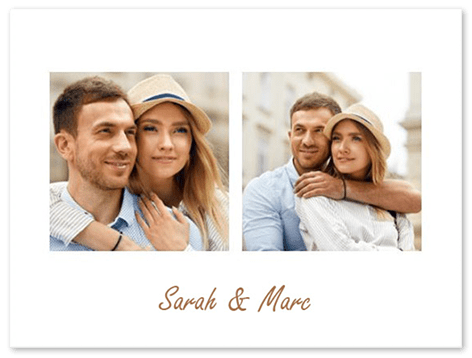 Photo collage 2 – 250 FREE templates + XXL format prints! Creating a two photo collage online is very simple. Just select your 2 photos, choose the 2 picture collage you like best and, in just a few clicks, the photo collage 2 is ready. This takes only a few seconds, depending on your internet connection. 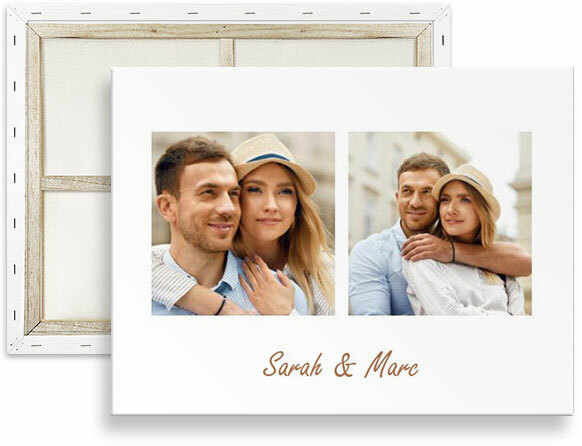 After adding the pictures to your two photo collage, they can be rearranged, trimmed or coloured. There are also other options for editing your photos. 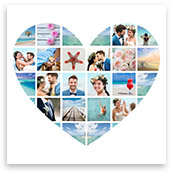 This means that you can create a unique two photo collage from your own pictures. There is no limit to the customisation of your photo collage 2. 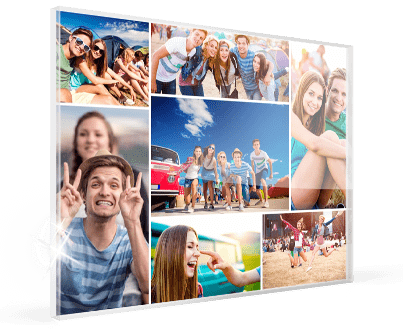 Once you have your two photo collage looking the way you want, you can have the results printed as a photo collage poster or on canvas. This typically takes between one and three business days. The printed 2 picture collage will then be delivered to you by post. Did you know? 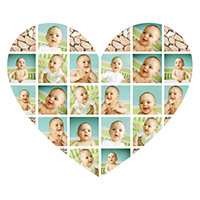 We also offer heart-shaped collages. Tip: Our customers love canvas. We deliver 65% of all collages on canvas. The photo collage 2 is one of the collages with the fewest images. But still this is a very popular photo collage. However, altogether we offer several hundred different collages. These include design or text collages that allow even more personalisation. 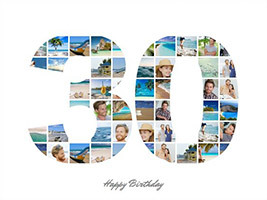 It is also possible to create a collage with many photos in numerous templates. 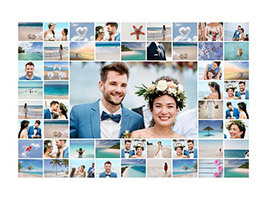 The photo collage 2 has a clear advantage over other collages, however: Because fewer photos are used, the two photo collage is ready especially quickly. So just get started and create your own 2 picture collage right now.